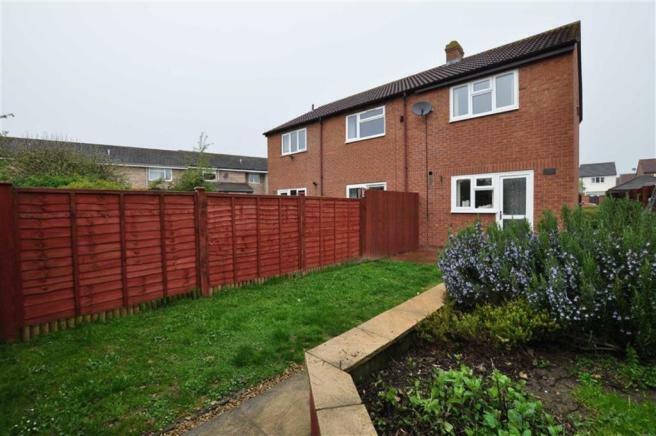 Located within a popular residential cul-de-sac and backing onto open ground, this end of terrace home offers well presented accommodation to include entrance hall, lounge/diner and re-fitted kitchen, whilst to the first floor there are two bedrooms and bathroom. 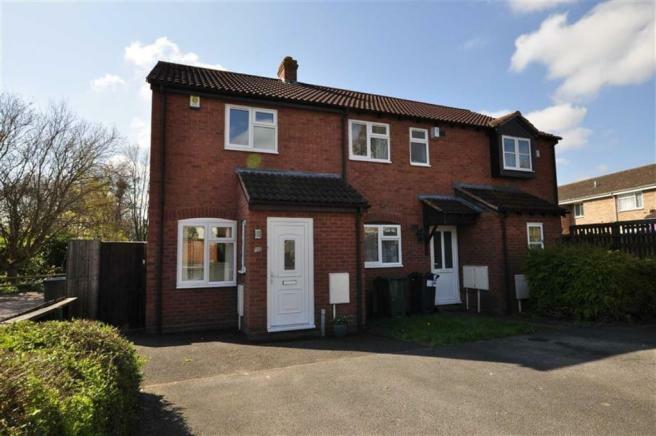 The property also benefits from gas central heating, double glazing, enclosed rear gardens and two off road parking spaces. 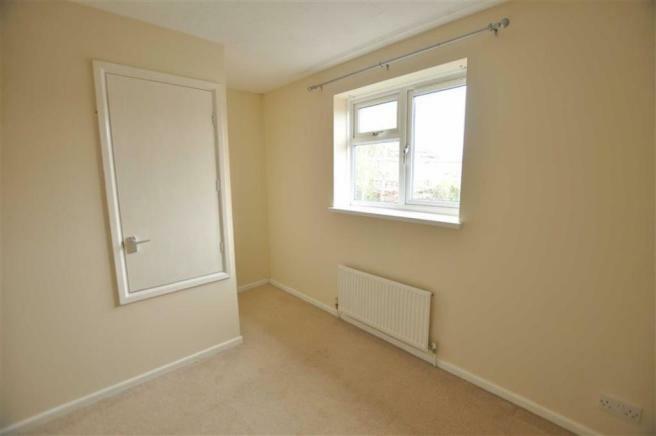 Available to let on an unfurnished basis from early May. Sorry, no pets or smokers. Entrance Hall - A upvc double glazed entrance door leads into the Entrance Hall with double glazed window to side and double cloaks storage cupboard. Lounge/Diner - 4.79m x 3.56m (15'9" x 11'8") - Having double glazed window to front, double radiator, TV point and staircase rising to the First Floor Landing. Fitted Kitchen - 2.18m x 3.53m (7'2" x 11'7") - Refitted with a range of base and eye level units with working surfaces over, stainless steel sink unit and coloured splash backs. Slot in gas oven. Plumbing for washing machine and slim dishwasher and space for fridge/ freezer. Radiator, double glazed window and door leading the rear garden. Landing - From the Lounge the staircase rises to the First Floor Landing with hatch to boarded loft space with pull down ladder, radiator and doors to all rooms. Bedroom One - 3.55m x 2.51m (11'8" x 8'3") - (including wardrobes) Double glazed window to rear overlooking open ground, radiator, TV point and two built in wardrobes with hanging rails and over head storage. Bedroom Two - 3.58m x 2.56m (11'9" x 8'5") - (excluding recess) Double glazed window to front, radiator, TV point, over stairs storage cupboard and further built in cupboard with hanging rail and shelving. 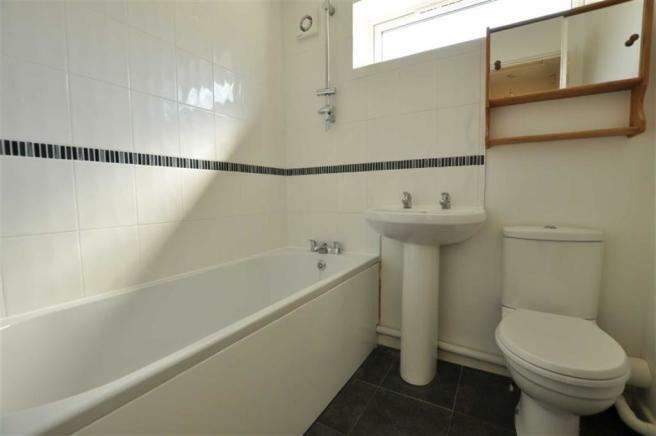 Bathroom - 1.85m x 1.71m (6'1" x 5'7") - Fitted with a white suite comprising panelled bath with mixer taps and shower attachment, pedestal wash hand basin and low level WC. Part tiling to walls, heated towel rail, extractor fan and obscured window to side. 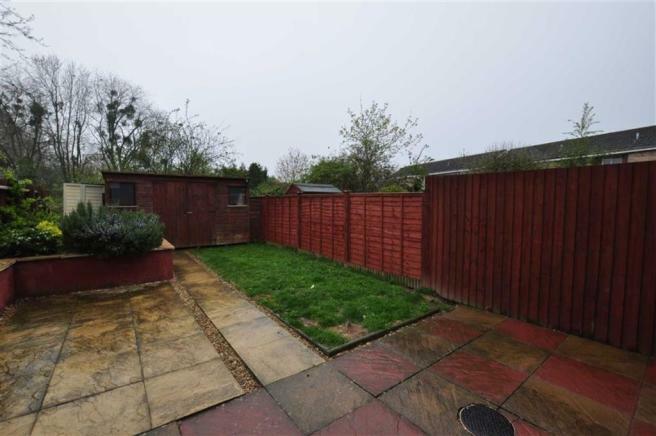 Outside - To the front of the property is a tarmac hard standing providing off road parking for one vehicle and gated side access to the rear garden. An additional off road parking space is located a short distance to the side of the property. The rear gardens are south facing and adjoin open ground, having a paved patio seating area and level lawn. To one side is a raised shrub bed and a paved pathway provides access to the large timber garden shed. Directions - From our Malvern office proceed down Church Street to Barnards Green taking the 3rd exit as signposted Upton upon Severn. Proceed ahead and take the right hand turn just after the Bluebell Inn into Bluebell Close. Turn left into Campion Drive and second right into Foxglove Close. 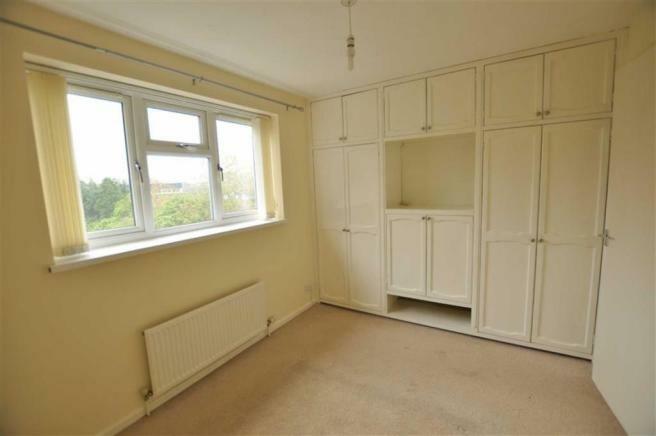 The property is located directly ahead as indicated by our agent's To Let board. Tenancy Agreement - The tenancy agreement will be set up on an initial 6 months period. Referencing is charged to the Tenant at a cost of £100.00 plus VAT per applicant and Guarantors referencing (if required) is charged at a cost of £50.00 plus VAT. In the event that references are not satisfactory this fee is non refundable. Upon satisfactory receipt of references there is a fee of £75.00 plus VAT for preparation of the tenancy agreement. Rent is payable monthly in advance on the same day of each month that the tenancy commenced, by standing order. Unless otherwise specified rent is exclusive of all out goings. Lost key call out fee to tenants is charged at £25.00 plus VAT and any amendments made to the tenancy agreement, on the tenant's request before or during the tenancy, is charged at £25.00 plus VAT. Disclaimer - The text, photographs and measurements within these particulars are for guidance purposes only and are not necessarily comprehensive or will form part of the tenancy agreement. Reasonable endeavours have been made to ensure that the information given in these particulars is correct and up to date. Any intending viewer should satisfy themselves by contacting the office prior to viewing, to clarify any aspect of importance. 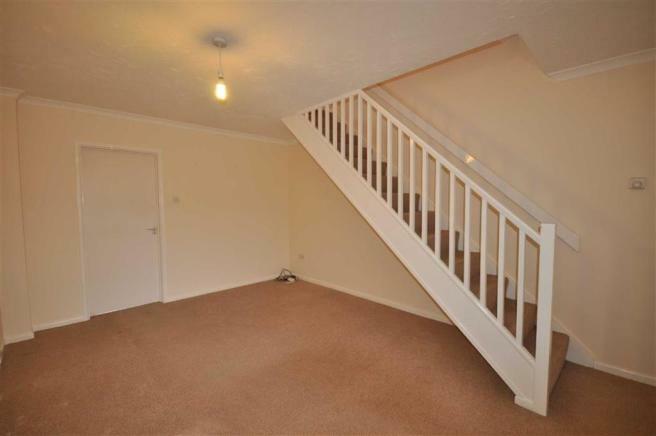 This property is marketed by Denny and Salmond, Malvern at £650 per month. Rightmove has calculated the price per week for comparison purposes only. Property reference 28677134. The information displayed about this property comprises a property advertisement. Rightmove.co.uk makes no warranty as to the accuracy or completeness of the advertisement or any linked or associated information, and Rightmove has no control over the content. This property advertisement does not constitute property particulars. The information is provided and maintained by Denny and Salmond, Malvern.